Ever feel like an outcast? You're not alone. 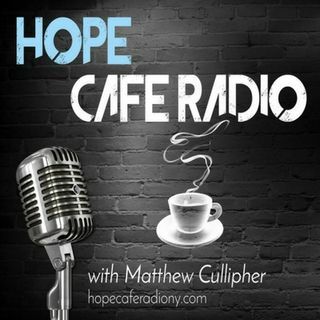 Hope Cafe Radio is your new home. Your source for real, raw, unfiltered discussions about life, struggles, addictions, mental health, hip hop, and everything between. Actors, Musicians, Pastors, Psychologists, and many more will weigh in on various topics in life, but always with a hope-filled approach. Tune in to find your healthy new addiction.